The garage door replacement project of your home in the Columbia, South Carolina, area will be in good hands with 31-W Insulation at the helm. Founded in 1972, our company has become one of the top home improvement companies in the country by always going above and beyond for each and every customer. From your free, in-home consultation to the installation completed by our factory-trained professionals, we’ll provide impeccable service and ensure that you’re totally happy with your new garage door. 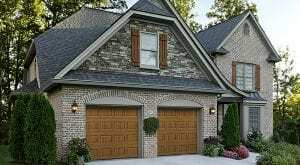 Amarr builds exceedingly functional garage doors as well. Fabricated from a rugged steel material, these doors boast impressive longevity and need minimal regular upkeep. They can also help regulate the temperature of your garage thanks to their insulation, which is helpful if you spend a lot of time in your garage or use it as a living space. Your garage door replacement will be equipped with safety features too, including flush-mount hinges for pinch protection and tamper-resistant brackets that protect the inner workings of the garage door while under tension during opening and closing. And you can rest easy knowing your home investment is secure as your garage door will come backed by a generous manufacturer warranty. Call 31-W Insulation today to schedule your consultation and start the garage door replacement process for your Columbia, SC, area home.